Even makers like SS Rajamouli waited for the dates of Anushka as there have been no other options for the roles and characters they have designed. Anushka surprised with her performance in Baahubali: The Beginning and Rudhramadevi after which she has recently come up with SizeZero. Anushka played a fat girl in the movie and her performance along with the characterization is said to be the major highlight. Legendary director K Raghavendra Rao’s son Prakash Kovelamudi made his debut with Anaganaga O Dheerudu has taken his time and came up with the film which released last Friday. This romantic comedy has been aimed for the multiplex audience and the movie has been shot simultaneously in Telugu and Tamil languages. Arya and Sonal Chauhan played the other lead roles in the movie. 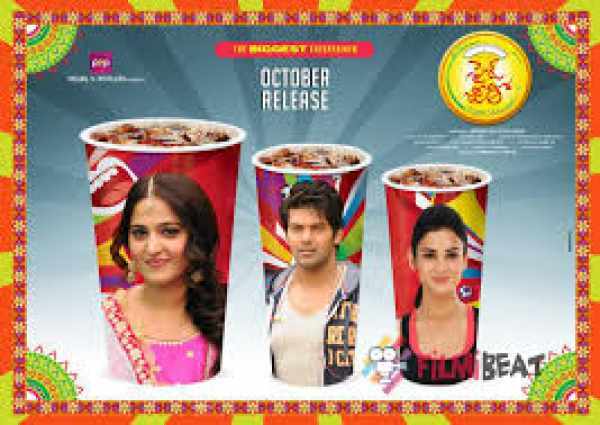 Prakash Raj, Urvashi, and Gollapudi Maruthi Rao played the other prominent roles in SizeZero. The movie released in 1500 screens across the world and it received a decent response from the multiplexes. SZ collected Rs 5 crores on its opening day and the movie witnessed huge growth on the second day which collected Rs 9 crores. The movie had a decent Sunday and SizeZero collected Rs 24 crores which are decent for the budget on which the movie has been made. After a decent weekend, the movie dipped back and collected Rs 4 crores on its fourth day making the total Rs 28 crores. SizeZero will make up a decent first week as the movie has been made on a decent budget. MM Keeravani composed the music and Prasad V Potluri produced the film on PVP Cinema banner. SizeZero received decent reviews from the family audience all over.